TIME, DATE, AND PLACE: 4-6:30 p.m., Friday, July 18, Hoyt Auditorium, University of Rochester’s River Campus. WHAT: 150 high school students from across the country are gathered in Rochester this week for the National Hispanic Institute’s Lorenzo de Zavala Youth Legislative Session (LDZ) hosted by the University of Rochester. After a week of legislative, executive, and judicial training and work sessions, the program culminates in a final “Supreme Court” mock trial and closing ceremony on Friday. Students will debate policies related to education, social inequality, and economics, among other topics. ABOUT THE LDZ: The National Hispanic Institute’s LDZ program was established to help high school students realize their potential and become leaders in the Latino community. Throughout the week-long program, students engage in work sessions, creating their own government, electing leaders, passing legislation, and conducting mock trials. 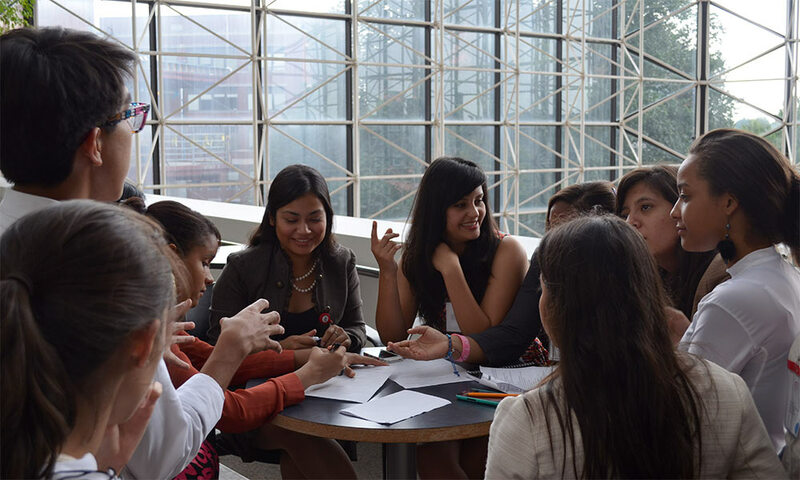 They learn to collaborate and negotiate to promote their values and envision themselves as future leaders. The University began its partnership with NHI in 2006, bringing high school students to the Northeast for the first time to participate in the LDZ program. That same year, the University launched the LDZ scholarship, which provides financial assistance to students who have participated in the summer session and are accepted into Rochester’s undergraduate program. In November 2011, NHI presented the University with its College of the Year Award during the organization’s annual Celebración in San Antonio, Texas. FOR MORE INFORMATION: Media interested in covering the mock trial can call Rachel Goldstein at 585.276.3693.